K Raheja Corp group is initiating another residential depiction in the most eminent parts of Pune in the real time. Raheja Vistas is developing at NIBM road of Pune in the real time. This project is developing with the key number of pristine abodes in the current time lap. This real estate company is enhancing amongst the renowned real estate undertakings in this mega metropolitan of India. The developer has offered lots of posh residing options with features in the life of inhabitants. Pune is geared up with an army of realty giants in this time lap. Eastern part of the country is consistently performing with the numerous innovative implementations of the real time. Real estate and other gigantic infrastructural developments have transformed the current scenario of the city in the current time span. This mega city is the destination of numerous established industries such as automotive and further Information Technology multinational business houses etc. Innumerable real estate projects have been delivered in the most eminent areas of this metropolitan. Pune happens to be the renowned junction of real estate properties in the coming time period. Raheja Vistas Phase 2 Pune is the abundance of numerous high- end residential spaces in the real time span. This residential community consists of 2BHK and 3 BHK types of residences getting assembled with the high-quality materialization etc. These opulent residential spaces are getting depicted in the sizes ranging from 823 square feet to 1098 square feet. In terms of extra comforts and secure living, it is developing with numerous happening attributes in the real time. Various lavish amenities of this residential plan are- large central greens, kids play area, a clubhouse, swimming pool, upcoming hypermarket etc. This residential project has the close contiguity to M.G. road, NIBM road, Kondhwa road, Hadapsar road etc.It is located nearby facilities like hospitals, acclaimed social hubs, fastest transport services etc. 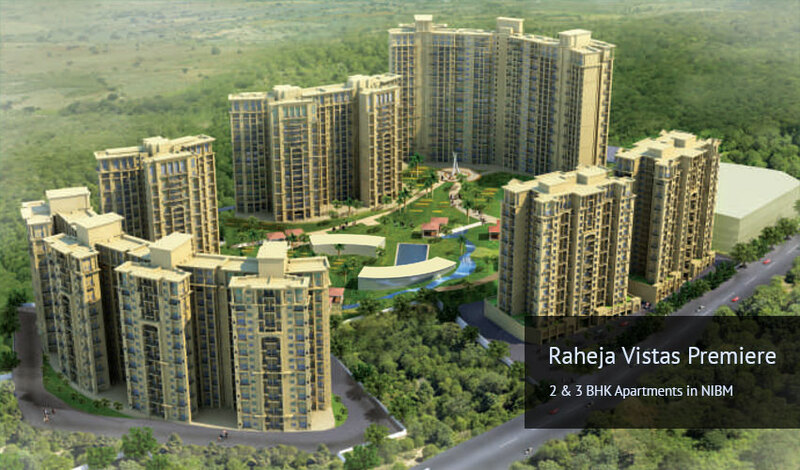 Raheja Vistas price starts from Rs. 60.25 Lakh to 95.66 Lakh.